As confirmed few months back about their relationship, The Americans real life couple Keri Russell and Matthew Rhys were seen having fun with bike time on a Sunday morning ride on the streets of Brooklyn. The co-stars turned lovers are making the most out of the last minute of summer as they both concealed their eyes through sunglasses. They rode in parallel as they chatted, until Keri lead the way and Mathew followed closely behind. The stars both opted to be in laid back look as Keri wore her shirt, shorts and sneakers and Rhys wore his pants and comfy shirt and a baseball cap to finish his outfit. They were heading to Ker’s apartment. These hot couples were on the top notch rumors months ago that they weren’t just simply dating. Sources said that they were actually living together. Who knows when the engagement announcement will be? After all, it’s not too much to expect. 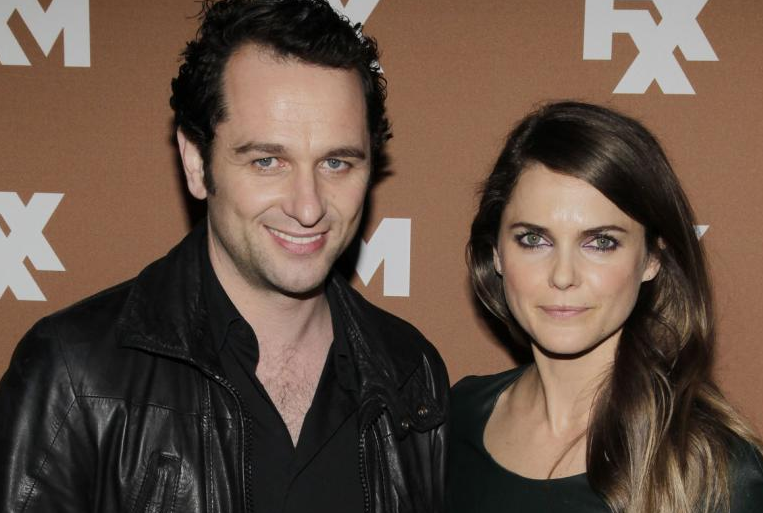 Keri Russell and her boyfriend Matthew Rhys are a match made in heaven. With her career success and love life, it seems like Russell really couldn’t be much happier these days. “[With] Felicity I was the main person…That was a real grind. “I think because Matt and J.J. [Abrams] had never [produced a show] before, and we were creating a really cinematic show for the olden days…we worked a lot of hours. Though Keri, in her 38, initially gained her fame on J.J. Abrams’ TV show Felicity, she claimed that she didn’t really enjoy that never-ending grind as much as she does working in world of television today. She expressed how happy she is with the way they shoot things now and that she is so excited for the third season. Earlier this year it was announced that The Americans will be renewed for its third season. The hit drama series stars Keri and Matthew as two soviets KGB posing as Americans to spy on the United States government during the cold war. The show focuses on the marriage of Phillip and Elizabeth Jennings who are living in suburban Washington D.C.